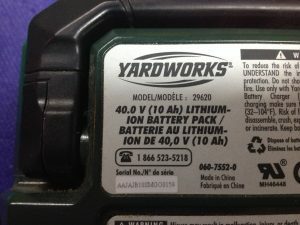 I found a 40V 10Ah lithium-ion lawnmower on kijiji a few years ago for $30. Finding lithium cells that cheap was a steal, so I bought it. Originally, I hoped there would be around 50 18650 cells inside, but when I got it home and opened it up, I saw that there were 10 10Ah cells in series. Not as easy to work with as 18650s, but I’ll probably add them to a powerwall or something soon – if I can ever can them out of the case that is. They seem to be wedged inside with double sided foam tape. I might need to break the case to get them out. Anyways, I found the capacity indicator on the battery was showing nothing, so I measured the voltage of each cell individually. As expected, I found one cell sitting around 1.6V, clearly problematic. The rest were sitting around 3.7V and 3.8V, which is a good sign for those cells. I had a few TP4056 modules out for charging 18650 cells, so I just hooked one of those up to the problematic cell with some alligator clips. 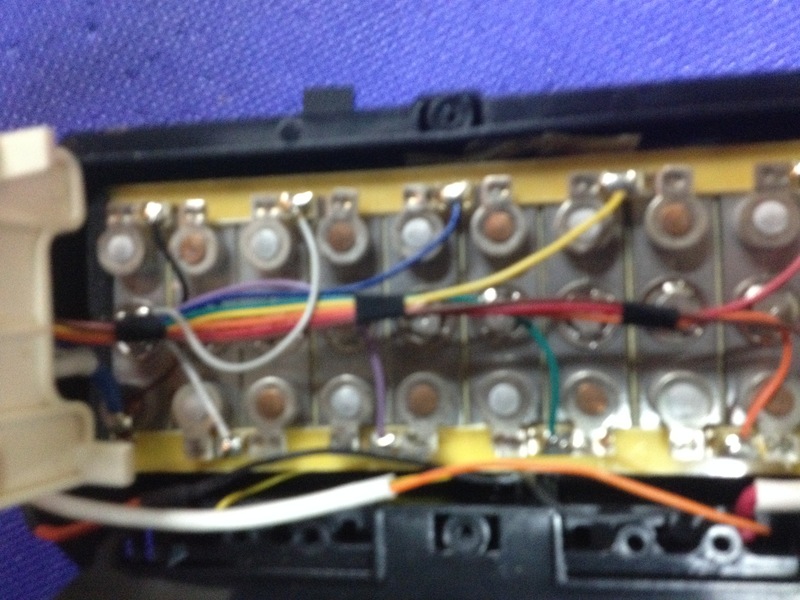 I did bypass the BMS by doing this, so I kept a voltmeter connected to the cell as well. 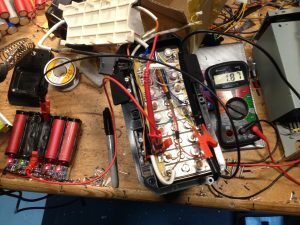 It took a few hours to charge up to the voltage of the other cells, and when I disconnected the charger and re-tested using the built-in capacity indicator, it now showed that the battery was half-full. 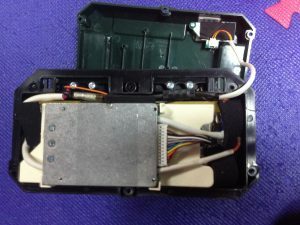 The battery has been restored to a fully working condition, but given that I don’t have a 42V DC wall adapter, or any high voltage boost converters to charge this as-is, I will probably be taking it apart to use the cells individually. The BMS will probably get used for an e-bike or another similar project.